The “winter bike” is a bit of a tradition in the British road cycling scene, almost a rite of passage really. You know someone’s starting to get the bug when they buy a bike specifically to ride in crap conditions. Personally I used to make do with slipping a set of SKS Raceblades clip-on mudguards on my “summer” (OK, only) road bike – but as I started doing more road miles in the winter and moved to North West England (which does see a bit more rain than Hertfordshire), I found myself wanting something specifically for bad weather. I was initially looking at a selection of aluminum bikes and/or frames, but just at the critical moment I got an email from Ribble about their annual frame clearance sale. Lo and behold they had their carbon winter bike – the Sportive 365 – in my size for less than half price. I think I paid about £270 for frame, fork, headset, seat collar and long-drop brakes in the end. The Ribble at the top of Rivington’s Sheep House Lane climb. I already had a 105 groupset and some decent basic wheels and finishing kit, so that completed the build – along with some Kool Stop Salmon brake pads so that I’d stand a chance of stopping in the winter grot. And of course the all-important SKS Chromoplastic full-length mudguards – which the frame can happily accommodate along with 25mm tyres. 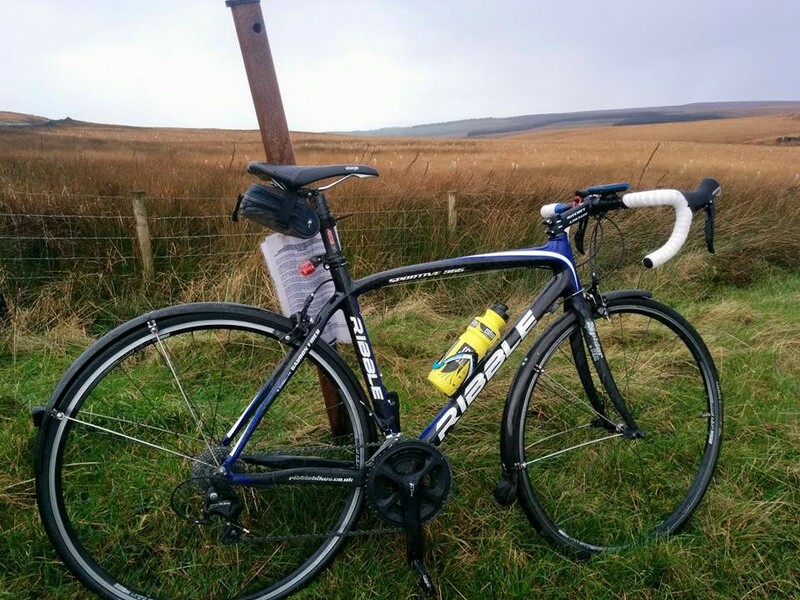 I’ve noticed an increasing sniffyness from road cyclists about sportive events in recent years – and I have to say I tried one myself and probably won’t do another – but back when Ribble launched this bike it was still a hot industry marketing term. But Ribble are famed for their no-nonsense race-style geometry – as featured on their ubiquitous blue aluminium winter training bike – and they carried that straight over to the Sportive 365. Their newer “sportive” bikes all seem to have longer head tubes and shorter top tubes, but this one seems to be closer to a Giant TCR or Specialized Tarmac than those companies’ sportive offerings. And I’m certainly not complaining about that. I have a long torso and short legs, so a short, upright bike is no use to me. The discounted winter fork I’d snagged along with the frame had been cut short for a display bike, so I actually ended up using a 120mm stem tilted upwards to put the bars in the same place as on my other bike. I realise this is probably a violation of “The Rules”, but if you take that kind of thing seriously you’re probably not reading a review of a Ribble anyway. As you can see, the graphics are pretty run-of-the-mill roadie stuff, I quite like the way the white and navy blue colour accents have been applied and I’m not even that bothered about it saying “RIBBLE” in big letters all over it. Short head tube and steerer meant I had to point the stem skywards. My first wet ride with the full-length mudguards was a total revelation, these things are fantastically effective at keeping road spray off of you. I often pop out for a ride when I get a dry weather window, but when the roads are still soaking wet from an earlier downpour. It almost felt like magic whizzing along wet tarmac while staying completely dry. In the rain they do a brilliant job of keeping annoying spray out of your face and off your bum – meaning you’re wet but comfortable. So how does it ride then? I suppose it would help if I told you a bit about the actual frame then. As I mentioned above, it’s got quite sporty geometry, so it’s easy to get your head down and crank out the miles. 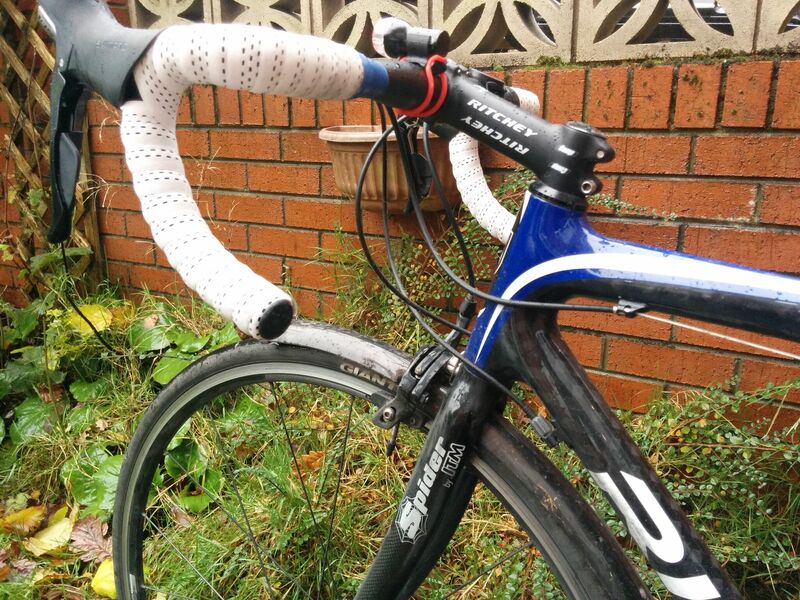 I’ve managed to achieve pretty much the same fit as my Giant Defy, but with a longer stem in the rise position. This means the handling feels a bit more lively, probably due to the shorter wheelbase and front centre. It’s not twitchy though and feels composed at speed, corners nicely enough and just generally feels neutral and happy to get on with the job. There’s a lot of chat from bike snobs about cheap carbon not being as good as a fancy aluminium frame, and I’m sure there’s some truth to this. However there’s a reason that carbon has become so dominant on the road scene – even the cheap stuff is light, stiff and comfortable. The inherent damping properties of the black stuff give the Ribble a comfy enough ride, though it’s noticeably firmer and duller than the nice carbon bikes I’ve owned – and it doesn’t have the same thoroughbred feel at all. No missing what brand it is. It does iron out the bumps a bit better than most aluminium frames though, and Ribble appear to have prioritised stiffness over comfort anyway – so its got a decent turn of speed when required. The plastic frame (and it does feel like plastic to be honest) helps the bike stay at a decently low weight even with guards fitted. My local riding involves a lot of climbing so this is a big plus for me. I’ve slowly upgraded the bike over the last year or two, first adding an 11 speed 105 groupset and later trickling down the stock Giant wheels from my Defy – which are a decent mid-weight set as opposed to the heavy-ish set I’d originally specced. These combined with the impressive Giant P-SL1 tyres have given it a new lease of life, making it feel almost splightly instead of sluggish. I fitted my Ksyrium Elites just for one ride and they tightened and lightened things up further still, I even got a Strava PB on Parbold Hill (a popular local climb that I’ve ridden a fair bit) on the Ribble. Yeah, I’d like something more fancy and disc brakes would be a nice thing to have for winter riding – but this will do me just fine for now. PS. 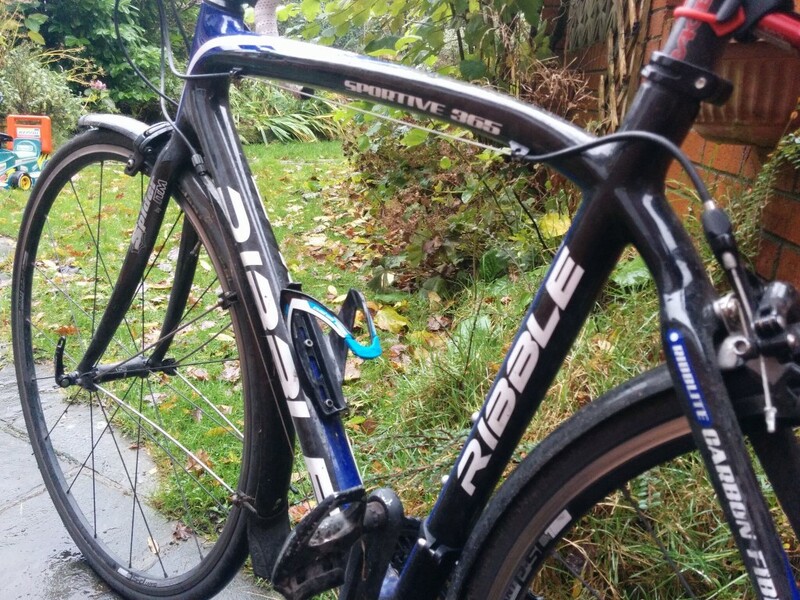 Yes I know this bike is no longer a current model, but many riders will be looking secondhand for a winter bike – and this Ribble is certainly one to consider.